Congratulations to Rick “Hardtimes” for JOTM Winner! 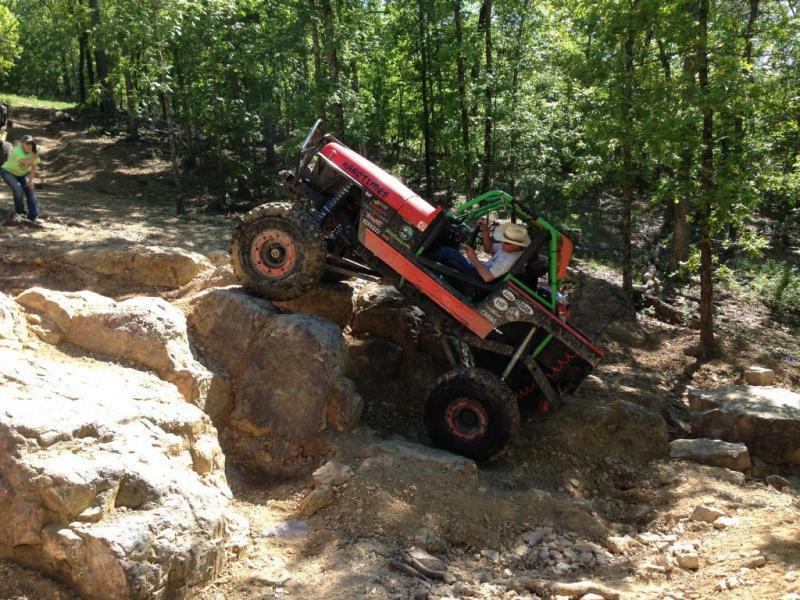 This pic was taken on Greg’s Rock by Al “wushaw” on our club run to Superlift in Hot Springs back in May 2014. Just a little more than your average mall crawler. This Jeep is almost old enough for antique tags. It is a 93 Wrangler with full width Dana 44 front and 60 rear. Custom built 3 link front and 4 link rear with 16″ King Coilovers and air shocks by CK Customs. A few other mods include a 104″WB, Atlas 4.1, 10000# Warrior winch, RCV axles, PSC assist steering and a cool little saddle stirrup on the right side to help Brenda get in. ← June 2014 JOTM Winner!